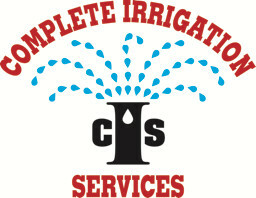 Complete Irrigation Services continues to grow and is now covering much of New England. Please call our office to see if we are serving your area. I am looking to have a new system installed (or current system added on to). Do you provide free estimates? Yes. Complete Irrigation will arrange a mutually convenient time to meet you on your property, review your water source, take your water pressure, then walk the property with you to design a system that provides you with the coverage and equipment we recommend. We will leave you with a detailed estimate showing the type of equipment being used, quantities to be used, a written warranty, and a firm price (with possible options) for the work to be performed. I currently have a system but it is not running right/needs repairs or updating. Is there a charge for reviewing? Yes. We will charge you either a service call or an irrigation audit fee to review your system, depending upon the detail you require. Audit fees can be applied to future work should you agree with our recommendations and perform the suggested work. When is the best time of year to install a sprinkler system? We install systems throughout the year, so long as the ground is not frozen. An irrigation system is site-specific. While some companies charge by the head, Complete Irrigation Services will take into account all of the facets of a system (head count, zones, controller, walkways, accessories, etc.) and provide you with a competitive proposal based upon these items. We believe we offer the most comprehensive system you’ll receive, and our quote will be extremely competitive. The typical residential installation requires one-two days to complete. What will my lawn look like after the installation? The equipment we utilize minimizes the disturbance to your property. Rocks, roots, the quality of your existing grass and buried objects all affect the finished installation. We will leave your lawn level and neat, and we guarantee that within two weeks of our installation, your lawn will be as good or better than when we arrived at your property! Which uses more water: watering with a hose or an underground sprinkler system? If you water with a hose, you typically water based upon time. After so many minutes, you move the sprinkler from one area to another. Based upon the nature of any sprinkler, the closer you get to the sprinkler, the more water there is. Thus, there is always an un-even amount of water from one area to another. When watering using a properly design irrigation system from Complete Irrigation Services. We design using head-to-head spacing, where the end of one sprinkler radius lands on the next head. Thus there is an even coverage of water throughout the yard. Because we know how much each nozzle applies, the area it covers, and the precipitation rate of each head, we precisely water each area to maximize water efficiency and plant health. Combine this with our water efficient equipment, and you can rest assured you are applying the correct, most efficient coverage at all times for your landscape. How much will my water bill go up? This will vary from customer to customer. If you water on a regular basis now, you should see a water savings. If you never water, then of course your bill will go up. Through our use of technology and design, you can rest assured that no one will design and install a sprinkler system the uses less water than Complete Irrigation! I am considering a sprinkler system, but I do not want anything complicated. Are there any easy to use systems? We will make suggestions on equipment based upon many factors. Our most popular systems these days are our set-and-forget units, which will adjust your system automatically every day based upon the weather conditions. You will never have to touch your controller, even in the event of a power failure! What about my hanging plants, can they be irrigated as well? Yes! We can hide (or disguise) the pipes leading up to your pots, hanging plants, second floor planters, etc. so that you never have to worry again about having great looking flowers with no daily hand-watering! We have an invisible fence, drains, underground electrical wires, etc. Can you avoid these obstacles? Yes! Our installers are trained to locate these items before working in your yard. All underground utilities will be marked out by Dig-Safe prior to our arrival. Your site specific items (drainage, lighting wires, invisible fence, pool pipes) will then be uncovered by hand shovel to avoid damage. In the event that we do damage an item, Complete Irrigation will repair said damage at no charge to you! We have walkways/driveways to traverse. Can you handle these? Yes! Since the beginning, Complete Irrigation has invested in equipment capable of boring under walks and driveways, minimizing the need to cut a driveway, or causing cracks under a concrete walk that occur with other methods. For larger drives/roads, we also own underground missiles which can “shoot” across a roadway up to 50 feet in the proper soil conditions! Will a sprinkler system increase the value of my home? How do I know how many zones I need? Size of your water source ( meter and line size if you have city water, volume and pump size if you have a well). The pressure from the source. The grouping of various types of heads (spray heads, rotors, drip should all be zoned separately). The ares to be watered (sunny versus shady, top of slopes versus bottom, lawn ground cover, gardens). Based upon these factors, a system is then designed. You will find that the more these above factors are considered in your design, the more expensive the quote, BUT THE LESS EXPENSIVE TO RUN it will be! Complete Irrigation will consider all of these items in designing your irrigation system! I have gotten several estimates, and the number of sprinkler heads and zones varies widely. How do I know whose quote is right? I have low pressure, can I still get a sprinkler system? Yes. Having the correct water pressure is extremely important to the proper operation of the sprinkler components. If your pressure is too low (note: at the last head on your system, NOT at the house where you might measure it), than a pump might be required. Complete Irrigation will discuss all of these factors with you at our initial consultation. Will a sprinkler system affect the pressure inside my house? Technically, yes. The more water used, the lower the subsequent pressure. That is why a properly designed system is so important for your long-term satisfaction. As stated above, Complete Irrigation will account for all of these factors and then operate your system at a time that does not conflict with your water use, thus eliminating any disruption or inconvenience that this lower pressure might cause. I have a well, can I have a sprinkler system? Yes! When having a well, the proper design becomes even more critical than when there is city water. Complete Irrigation will work with your well company to confirm your well production, depth, and pump size to ensure that our system operates within your well’s parameters. Don’t know anything about your well? No problem! We shall have our well company perform a well test. The cost of this service will provide you peace of mind knowing that your irrigation system is designed in harmony with your well, and will more than offset the cost of redesigning a system if improperly designed! We have water restrictions in our town. Do your systems allow for these? Yes! We only utilize equipment that allows for the various watering restrictions towns may have. Whether you have odd/even, specific days of the week, or hours of the day, Complete Irrigation has the controller for you. Will you repair/service/add-on/review systems other than those you installed? Yes! No matter the make or model of your system, or the age of it, Complete Irrigation has the knowledge to handle your irrigation system. How often does a sprinkler system require maintenance? Does your company provide these services? In New England, sprinkler systems require purging the lines of water every fall, (known as Winterization). Thus, every spring, we subsequently provide a service to refill those lines (known as our Start-up service), checking for leaks and operation of all components. Additionally, for those clients who want the ultimate peace of we provide monthly service where we will review your system for proper operation. Ask our office about our Complete Assurance Plan! Complete Irrigation Services is proud of our commitment to our customers. We have a full-time office staff (in-season) to assist you in scheduling service of your system to keep it running at its peak efficiency. Our dedicated service personnel have years of experience, and are second to none. Every day we have trucks on the road to provide you service when you need it. Watering is best performed in the early morning, as this is when water pressure is highest, evaporation is lowest, and your landscaping can be prepared for the stresses of the day ahead. Depending upon the size of your property, or the schedule within the house/building, this might mean altering this water schedule. What is most important is your landscaping be provided the AMOUNT of water it needs, when it receives it is a secondary concern. I see systems running in the rain? Is there a device to stop this? Yes! Rain sensors have been around for many years, though not all systems are equipped with them. (From the beginning, Complete Irrigation Services has recommended and installed them!). With a rain sensor, the system will shut off AFTER a sufficient amount of rain has accumulated, typically after 1/4 inch has fallen. Today, rain sensors are considered older technology. With the continual advancements being made, manufacturers now use weather stations (golf-course technology that is affordable for the average system). These weather stations measure the amount of rain that has fallen and outside temperature, and then notify the controller of this information so that it will take the appropriate action. Changes in temperature will affect evaporation rates, and the controller will every day increase or decrease zone run times accordingly based upon these fluctuations, even keeping systems from running in colder weather. During a storm, the total accumulated rainfall will be measured by the weather station, shutting down a system, and even keeping the system from running for days to weeks depending on the total rain received. Typically this technology can save you 30+% on your water bill (see our SMT page). What manufacturer’s equipment do you use? We are constantly reviewing and updating our product mix depending upon the technology (and application) available. By discussing your system with you, we will recommend the product we believe to be the best fit depending upon your pressure, water source, areas to be covered, cost of your water, and many other factors. Rain Bird (Select Contractor, IQ Certified), Toro (Certified Contractor), Hunter (Certified Irrigation Technician), Rain Master (Factory Trained), Tucor (Certified Installer), Irritrol, Weathermatic, Baseline, Febco, Watts, Sta-Rite, Goulds, Perdollo, Water-tronics, and many others. Can you service other manufacturer’s equipment? If it is irrigation related, we service it. What is a back-flow prevention device? A back-flow prevention device (preventer) is a device which is connected to your drinking water supply, allowing water to go out to your sprinkler system, but not siphoned (sucked) back in. Once past this device, it may come in contact with lubricants (from the sprinklers), fertilizers and pesticides, and other environmental items; thus you would not want these items to come back into your drinking water. Complete Irrigation Services will recommend the correct back-flow prevention device for your system based upon all the factors involved with its selection.